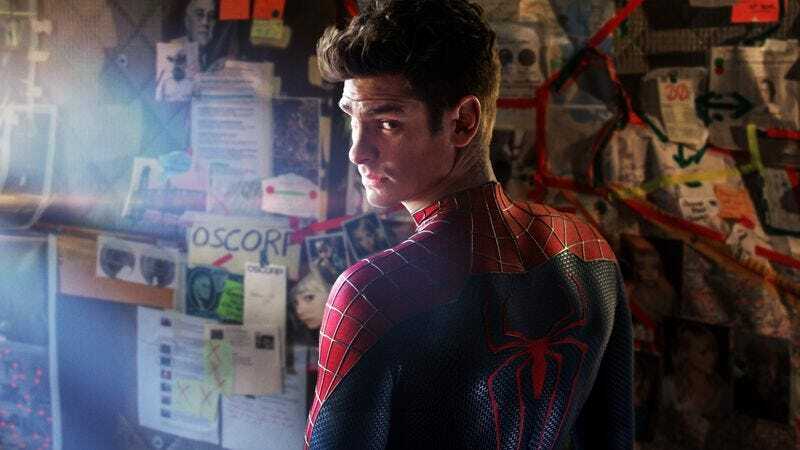 The Amazing Spider-Man 2 has already opened in the U.K. and, in what is a possibly telling appraisal of the sequel’s own merits, those who have seen it are mostly abuzz over its post-credits scene—a scene that has nothing to do with Spider-Man. In fact, in what could constitute a spoiler for those who prefer to go into their marketing promotions fresh, it’s a clip from X-Men: Days Of Future Past, appended without explanation or seeming rationale to a Marvel film made by a rival studio. But as Variety explains, this isn’t some precursor to Fox and Sony merging their comic-book franchises. On the contrary, it’s the product of a break-up—both the one between Fox and Spider-Man director Marc Webb, and the one at the center of (500) Days Of Summer, the successful rendering of which has left Fox pining for Webb ever since. According to Variety, Fox agreed to relinquish its contractual hold on Webb, but only if Sony agreed to promote X-Men for free. And so it did, in the most cursory and stiffly awkward way possible, like the movie equivalent of helping your ex move out of the apartment. So, while it’s not the Spider-Man/X-Men crossover some may have hoped for, at least this scene has its own convoluted backstory, which you can now explain with authority to everyone else still lingering in the theater.